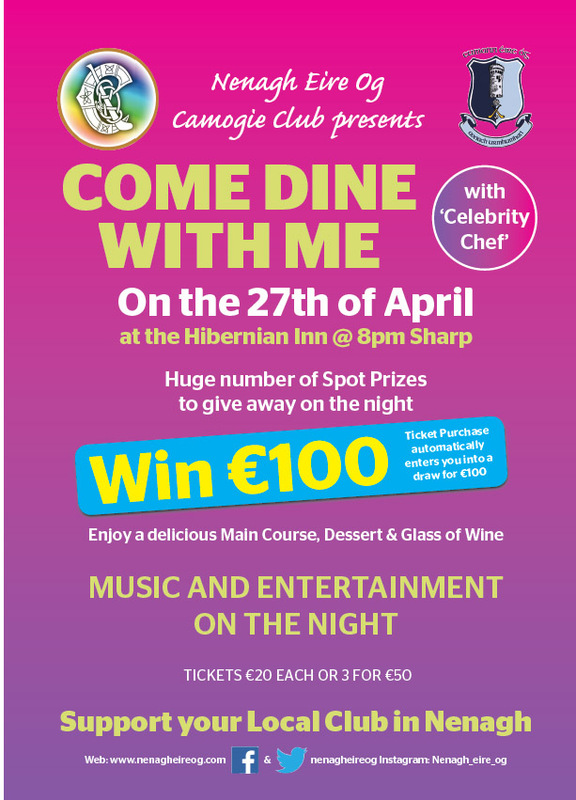 Nenagh Eire Og Camogie Club are having their main fundraising event of the year at the Hibernian Inn on the 27th of April. The ‘Come Dine With Me’ event promises to be a great evening with music and a local ‘celebrity chef ‘ organised. Ticket price of €20 includes a two course meal and glass of wine. All tickets purchasers will be entered into a draw for €100 and we’ll be giving away a large number of spot prizes on the night. This is a public event and all are welcome to attend. The club and committee would be delighted if you could come along and support this event and your local club. Tickets are available from committee members or if you would like a ticket send a message on their FaceBook page.